Why use outdoor advertising as opposed to online advertising or radio or TV or magazines or the newspaper? Three reasons. Outdoor is cheaper than most forms of media. 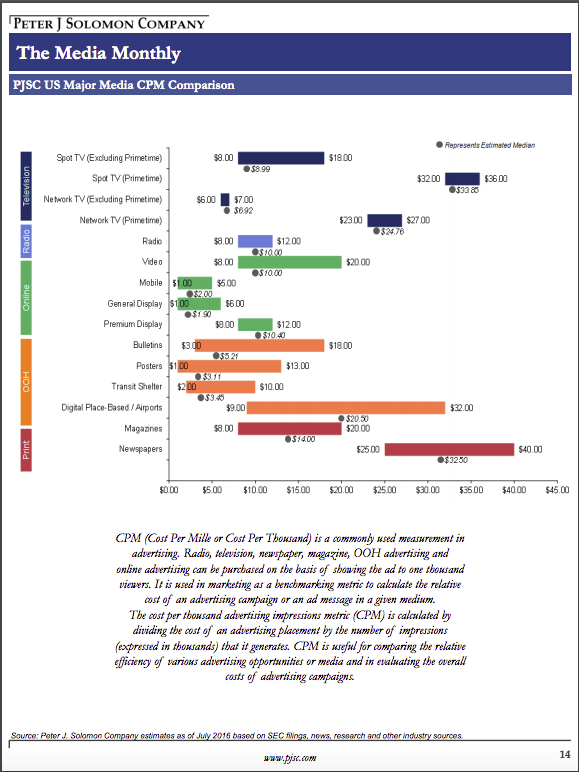 Outdoor bulletins and posters have a CPM or cost per thousand views of $5.21 and $3.11, respectively which is less than Newspapers, Magazines and TV. Outdoor advertising allows you to reach consumers in the precise neighborhoods which match your business or restaurant. Outdoor advertising is always on. Outdoor can’t be blocked with with an ad-blocker. Outdoor advertising is on 24 hours a day, seven days a week. Here’s an outstanding two minute video which highlights the strengths of out of home. Permission for use granted by the Outdoor Advertising Association of America (OAAA.org).